What do you look for in an ideal partner? A manufacturer with a bevy of processes at their disposal? What about a company that can work with OEMs and take parts — such as appliance and automotive handles — from concept to reality in a cost-effective manner? When sourcing the right handles manufacturing partner, versatility and breadth of capabilities are just as critical as experience. Here’s a closer look at the relationship an OEM should have with your manufacturer when it comes to turning a desired handle shape into a finished product, and why it’s important to consider factors beyond just the fabrication process. As an OEM, you generally have a good understanding of the desired shape you’re looking to achieve. But, while your product knowledge is deep, it’s impossible to understand every external and internal manufacturing process out there, which means it’s also challenging translate the vision in your head into a handle that reflects that vision. Finding the right manufacturer for the job isn’t always easy. More often, you’ll find that OEMs are outsourcing design, fabrication, and finishing and assembly to multiple partners with limited capabilities. Trying to “piece together” the process in this manner can lead to costly logistical and quality control challenges, and can also result in longer lead times and slower time to market. A true turnkey handles manufacturer should be capable of doing more than turning your handle concept into reality; they should also help recommend the right fabrication and finishing processes early in the design and engineering process to navigate around potential quality issues and inefficiencies downstream. 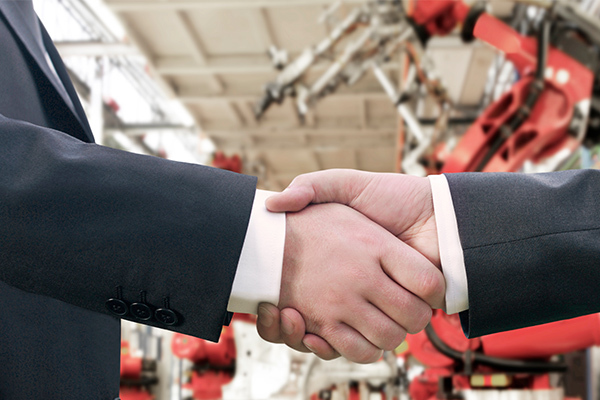 Additionally, an OEM should look for a manufacturing partner who has a firm grasp of the industry and can operate as a valuable extension of operations, not just an outsourced vendor. They should be aware of the current state of the industry, trends to watch for, new innovations in design, and have an eye on other industries for ideas that competitors might not be looking at. This requires a commitment to constant learning and observation, whether it’s through networking, attending industry trade shows and events, or continuing education to stay up-to-date on the latest and greatest. If your potential partner doesn’t have a finger on the pulse and an ability to source inspiration from any and all avenues, you might want to look elsewhere. At Mills Products, we specialize in manufacturing high-quality, cost-effective handles by offering a diverse range of metal forming and finishing processes as well as engineering expertise under one roof. Our OEM partners come to us when aesthetic appearance is a top priority. As a result, we are one of the largest suppliers of stainless steel handles for many manufacturers in North America and the go-to partner for appliance and automotive OEMs looking to develop high-end, complicated designs with class-A finishes. To learn how our handles manufacturing versatility and expertise can help you develop an end-product at the highest level of quality, every time — please contact us today.